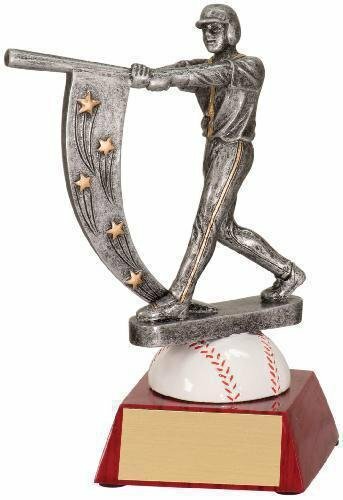 Baseball Action Star Resin depicts a batter hitting a home run using a baseball as a home plate. 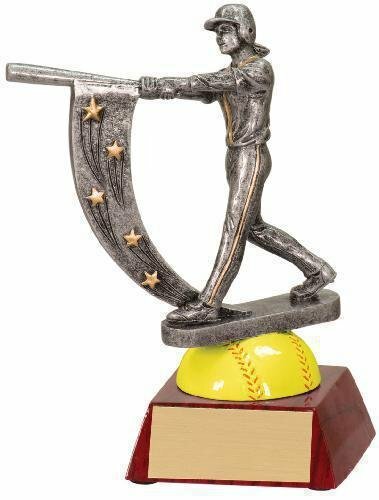 Stars adorn this baseball resin trophy showing the player is star player. 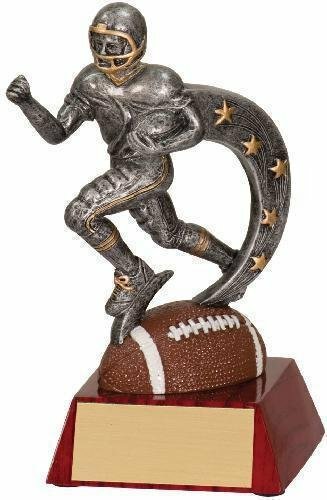 Football Action Star Resin depicts a player going running for the touchdown. 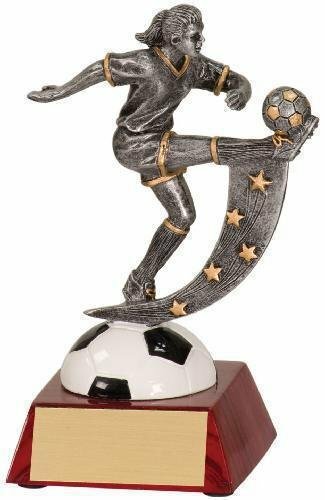 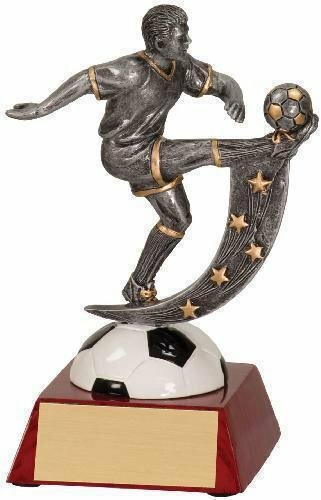 Stars adorn this football resin trophy showing the player is star player.